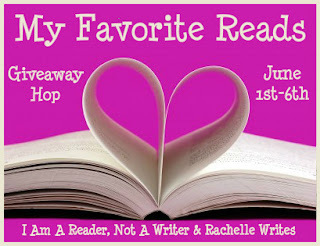 My Favourite Reads Giveaway Hop! I joined this giveaway hop so I can share two of my favourite reads with you and give you the chance to win one of them! If neither of them interest you, well I guess that's too bad! I wish I could explain why this is my favourite book of all time - I am going to try. 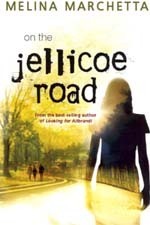 On The Jellicoe Road is a mix of fun, humor, sadness, mystery and romance all jam-packed into 300 pages. It is emotional and heart-warming and I absolutely loved all the twists to the story! The Book Thief is one of those "nazi-war-time-stories-about-jews-and-germans" but IN SUCH A GOOD WAY! Told from the POV of Death, he tells you the story of Liesl, a Geman girl with plenty of life-experiences to share. This book is unique and different and will touch you. Giveaway is open Internationally - as long as The Book Depository ships to your country! Check out the other blogs part of this giveaway hop below! I adore Pride and Prejudice and the Harry Potter books. My favorite read of this year is White Cat by Holly Black. Thanks for the giveaway! Just Listen by Sarah Dessen. Right now, Falling Under by Gwen Hayes. My favorite book is more a series and is Monica McCarty's The Highland Guard. Within the series my fave book is The Chief!! My favorite book is Sabriel by Garth Nix. Recent favorite: Girl of Thorns and Fire by Rae Carson! That's a hard one to answer, because I have SO, so many favorites! One of them is 'Pride and Prejudice' by Jane Austen. I have too many favourites! I loved The Name of the Wind by Patrick Rothfuss though! Gah, so many favourites! Pride & Prejudice is the classic favorite, Wanderlove by Kirsten Hubbard is a 2012 favourite, have loved Paper Towns by John Green for awhile. My most recent favourite is Cinder by Marissa Meyer. Thanks for the giveaway! Thank you for the international giveaway! My fav is Persuasion by Jane Austen. My favorite is The Host. You know for a bibliophile that's like the worst question ever right? HOW CAN I CHOOSE?! Okay, one of my favorites is the Beka Cooper Trilogy (especially Terrier and Mastiff) by Tamora Pierce. I ADORE it! Like you, I have tons, but I usually say Northanger Abbey. My favorite book is Eona by Alison Goodman. My favorite book is Gone With The Wind or Great Expectations, but Jane Eyre is right up there with those three. I love reading those books, but I think the one that means the most to me in terms of strong emotional connection would definitely be My Sweet Audrina by V.C. Andrews. A favorite? wow, that is hard, I'd say "The Neverending Story" by Michael Ende because I learn so much from that book. You stole my answer! It's DEFINITELY Jellicoe Road by Melina Marchetta! Words can't describe how much I absolutely ADORE HER!!! My favorite book ever is The Host by Stephenie Meyer. It has been years since I first read it and no book since had that kind of influence on me. The Gunslinger is my favourite book! My current favorite book is The Book of Blood and Shadow by Robin Wasserman, I wholeheartedly recommend it, especially if you love mystery and suspense and awesome, intelligent characters! Umm...right now my favorite book is probably 1984 by George Orwell. But ask me again tomorrow and it'll probably be different! I have many, many favorites, but I do love QUEEN OF ATTOLIA by Megan Whalen Turner. Right now my favorite book is GAME OF THRONES by George RR Martin. Currently favorite book is either Feed, Deadline, or Blackout by Mira Grant of the Newsflesh series! Hmmm.. I love Jane Eyre, the Hollows series by Kim Harrison, any Tamora Pierce book, could go on and on! One of my favorites is The Magician's Apprentice by Trudi Canavan. Honestly I could never just identify one favourite book. :P The list is endless. Divergent, The Mortal Instruments series, Harry Potter, Percy Jackson series, The Hollows series, it's just crazy bb. My favourite book is probably..... um.... THIS IS SO HARD. Divergent by Veronica Roth. or The Fault in Our Stars by John Green. Or A Million Suns by Beth Revis. Or Shatter Me by Tahereh Mafi. I DON'T KNOW. Iron Fey series by Julie Kagawa. :) Thanks! So many! But one that I reread at least once a year is The Lord of the Rings trilogy. My all-time favourite is probably The Hobbit. My favorite books are the twilight series..
My most recent favorite is Catching Fire. Where do I start? Yeah, I have lots of favs, but my answer usually is Stardust by Neil Gaiman ;) I love it every time I read it! Gone With The Wind. Thanks. I love all books from Julie James and Obsidian by Jennifer L Armentrout. Anything by Jhumpa Lahiri is brilliant! I don't have just one favourite, but I love anything by Rachel Caine, Julie Kagawa, Richelle Mead, Cassandra Clare, or Rachel Vincent. My latest favorite is The Immortal Rules. I loved all the books in the Hunger Games trilogy! Saving Francesca. And the books in the Divergent series are slowly becoming my favourites. It would have to be Jane Eyre! My favorite book is The Disenchantments by Nina LaCour. not sure! far too many too choose from :) I do realy like rachel vincents books and shiver by Maggie Stiefvater. My favorite is "Gone with the wind". Best book ever! Favorite series: Soul Screamers, Vampire Academy and Darkest Powers! I don't really have just one favourite, but picking one from the list: Pride and Prejudice by Jane Austen! Shadow of the Wind by Carlos Ruiz Zafon! Current favorite - The Hunger Games Trilogy and The Hunt! Harry Potter. It'll be hard to be those books for me. That is such a HARD question! Shatter Me!! I love that book! The Hunger Games is one of my favorite books. My favorite book series is the IN Death Series by J.D. Robb. It's too hard to pick just one. 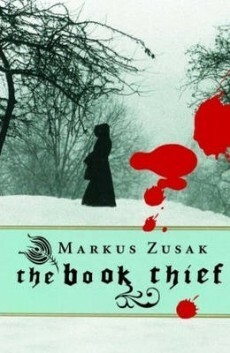 the book thief its one of my favourites too!! thanks for making htis international! I read and loved Book Thief five years ago when I read it. :) Great book. Favorite would be Shadow of the Wind by Carlos Ruiz Zafon. My two favorites are Little Women and Jane Eyre. :) Thank you for the giveaway! One of my favorite books is A Discovery of Witches by Deborah Harkness. Thanks for the giveaway! Shatter Me by Tahereh Mafi <3 Thanks for the giveaway! Thanks for the giveaway. I loved The Book Thief and would definitely love to read On Jellicoe Road too - hhhmmm, tough choice! My fave of all time is The Scarlet Pimpernel by Baroness Orczy. Poison Study by Maria V. Snyder. I have a million favorites, but one that I think you'd like is "The Five People You Meet In Heaven" by Mitch Albom. My fav. book is the classic Jane Eyre. to add to my list. My all-time favorite is the Harry Potter series. I'm really bad at picking favorites but The Hunger Games is certainly up there. I love The Hunger Games. I love the Black Dagger Brotherhood series by JR Ward! I have many, but one of my all-time favorites is this bridge called my back by gloria anzaldua and cherrie moraga. It really opened my eyes to feminism and changed my world view. I have to many...but right now it is Fifty Shades of Grey.. I love the Harry Potter series, The Lord of the Rings series, The Mistborn books and The Help. Dahl's Charlie and the Chocolate Factory! I have so many books I love it would be hard to pick just one but right now it would have to be the blackdagger brotherhood series because that is what I am reading right now. My favorite is The Count of Monte Cristo. i read the three musketeers every year.